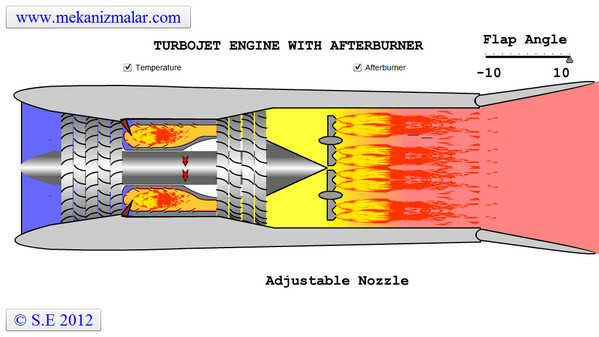 How a Turbojet Afterburner works. Fallowing video show working principles of a turbojet engine with Afterburner. Turbojets are quite inefficient for commertial flights and very noisy. Most modern aircraft use turbofans instead for economic reasons. Turbojets are still very common in medium range cruise missiles, due to their high exhaust speed, low frontal area and relative simplicity.